…is a terrific cookbook, filled with recipes for those who enjoy seeing pictures of how a meal starts, comes together and finishes with plating and presentation. Tons of helpful hints on combining ingredients and pleasing presentation for the home cook. Time has been taken to show the ingredients in picture form and the mixture of these ingredients, leading to the final result. Plating and presentation are explained and pictured to give the home cook a chance to show off their skills. 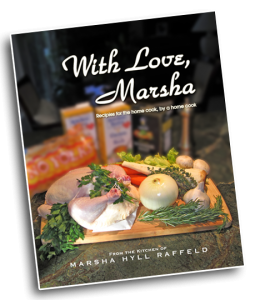 Marsha sends her cookbook, with love, from her family to yours. 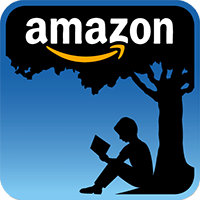 With Love, Marsha is available in 8″x10″ paperback and Kindle (e-book) at Amazon.com. For information on purchasing a spiral bound cookbook for easier use in the kitchen, please contact us using the form on this page. 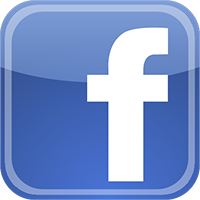 While we may post questions and/or comments on our Facebook page from time to time, your information is never shared and is never disseminated to any third party for any reason.